Do you prefer to toke up with blunts, joints, or spliffs? There’s no wrong answer, it’s just a matter of personal preference. Learn all about what makes each style unique and decide for yourself which way is the best. Cannabis enthusiasts across the globe all have a different preference when it comes to blunts, joints, and spliffs. Some will swear by blunts since they love heavy hitters. Others will claim that joints are the best and provide a more pure experience. Some people even like combining the two and smoking what’s called a spliff instead. Whatever your preference, there’s something for everyone, and we’ll dive deeper into all of the nuances below. Joints are simply rolled marijuana cigarettes. A joint is typically rolled with thin white or multicolored paper and can even be flavored. Joints tend to be favored by more casual smokers, since they smoke faster than blunts and aren’t as harsh. Blunts are usually wrapped in a thicker, dark tobacco paper. Many people use the wrappers from Swisher Sweets, a popular flavored cigarillo brand, to wrap their blunts. Blunts tend to be the fan favorite because of how hard they hit. The tobacco from the wrap interacts with the THC from the marijuana, amplifying its effects. For those that want a little bit of both worlds—the quick sesh from a joint and the caffeine-like buzz tobacco gives—there’s spliffs. Spliffs are joints that are rolled with tobacco and marijuana. These are enjoyed by a subset of cannabis smokers because the loose tobacco in the joint provides a head rush and amplifies the effects of the marijuana while also giving a short burst of energy similar to drinking coffee. Rolling papers for joints and wraps for blunts come in many different sizes, flavors, and even shapes. There’s a type to fulfill every smoking need. You’ll generally see people smoking cigarette-sized joints, but if you want a longer session, you can roll yourself a king-sized joint. Most rolling paper companies offer their products in both sizes. Most joints are rolled with a simple white or tan paper, but if you check out some local smoke shops or search online, you can find a variety of different colors and flavors. They even make rolling papers out of gold. While the flavorless white joint is the most common, it’s popular for joint smokers to roll with flavored wraps made by popular companies like Juicy J’s. These joints offer a nice smooth flavor to go along with your bud for an elevated session. They also offer great aromatics and look fun as well. If you haven’t tried a flavored joint wrap before, I highly recommend giving it a chance and seeing how it can enhance your next smoke session. Blunts, on the other hand, tend to be made of thicker, larger wraps, most of which are made of tobacco paper. The common method for obtaining blunt wraps is buying a pack of cigarillos like the aforementioned Swisher Sweets, but you can also buy them on their own online and in smoke shops. If you would like to avoid the tobacco in blunt wraps, hemp wraps are starting to become more popular and are considered a healthier alternative, though of course that option eliminates the tobacco rush. Which is easier to roll? 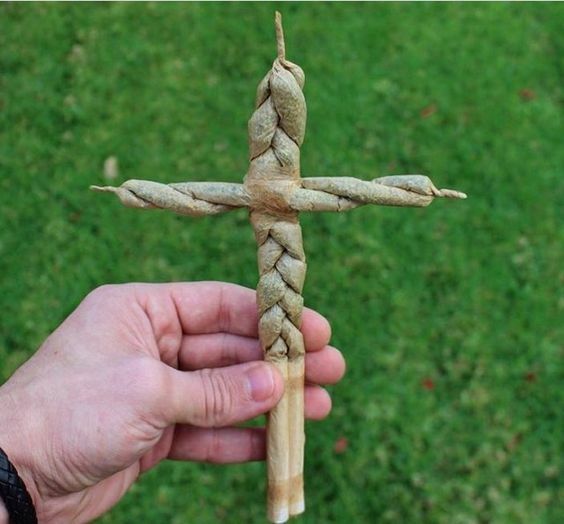 Many people consider rolling blunts and joints to be an artform. 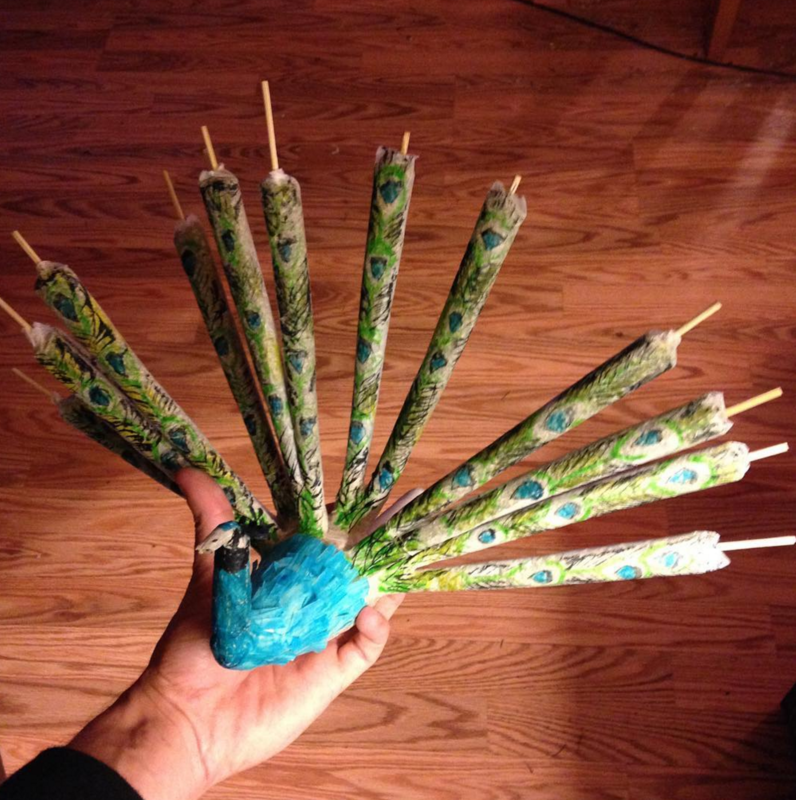 Some cannabis enthusiasts even make actual works of art when they roll up their marijuana. Whether you’re expressing your creativity, or just trying to roll the perfect masterpiece, it can take some practice. So which is the easiest to roll? I’d say joints, hands down. Blunts require a decent amount of preparation before you get to smoke that good herb. First, you have to cut open whatever wrap you’re using to dump out the tobacco. Then, you put your weed in the wrap and do your best to pinch your weed inside and lick the wrap closed, which can be quite the messy and gross adventure for some. Afterwards, you take a lighter and run it across the closed tear to dry and seal the wrap before finally taking the hit. It can feel like a seriously arduous task compared to rolling a joint. Rolling joints freehand is relatively simple. It’s similar to rolling a blunt, but usually with a lot less weed and a more pliable wrap. You fill the wrap with cannabis, pop in a crutch, then roll it into a nice, tight cylinder and seal. Rolling machines for both joints and blunts are available online or at smoke shops for reasonable prices. They’re fairly simple to use. You just load up your paper, insert your crutch (otherwise known as a filter), add some ground marijuana, and start rolling. It cuts down on preparation time so that you can enjoy more time smoking and spend less time with preparation. If you don’t want to go through the process of rolling your own joints at all, you can buy pre-rolls from a local dispensary. Pre-rolls are a box of joints that are already rolled and ready to go. If you’ve ever smoked a blunt, you know that they burn for a while. Joints, on the other hand, burn as fast as a cigarette. Blunts give you a nice, cigar-like chill session that can last for a while—as long as you aren’t smoking with Snoop Dogg. But even then, I’m sure he’d have a few extras on hand. According to this study, it seems that joints will get you more blazed then blunts. Compared to blunt aficionados, joint smokers’ THC levels averaged 52% higher. Now that’s dank. So if you’re looking to get super stoned, you might want to start rolling your joints right now. Both have their advantages and disadvantages. At the end of the day, it’s up to your personal tastes and preferences. Do you prefer blunts or joints? What’s your favorite rolling method? Let us know below in the comments.